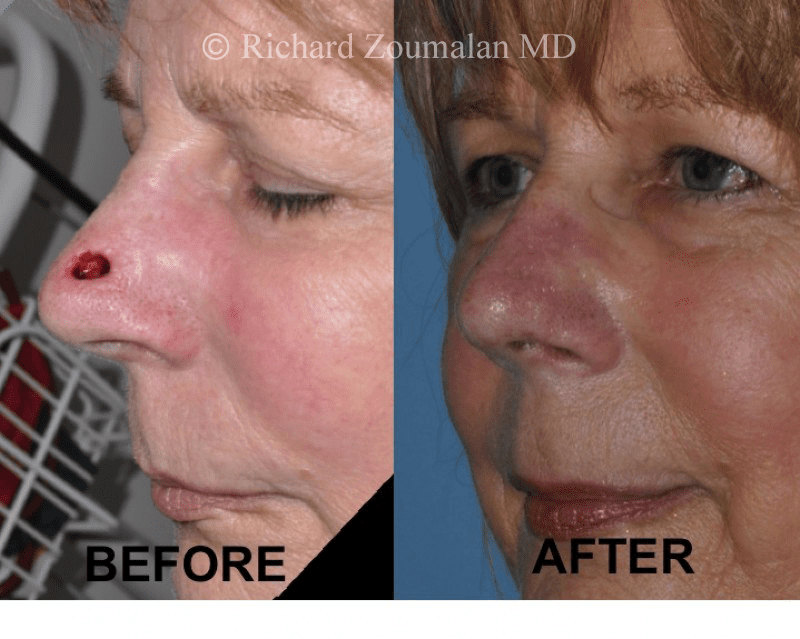 Reconstruction of the nose after trauma or cancer is a delicate surgery which requires extensive knowledge and experience with nasal anatomy. 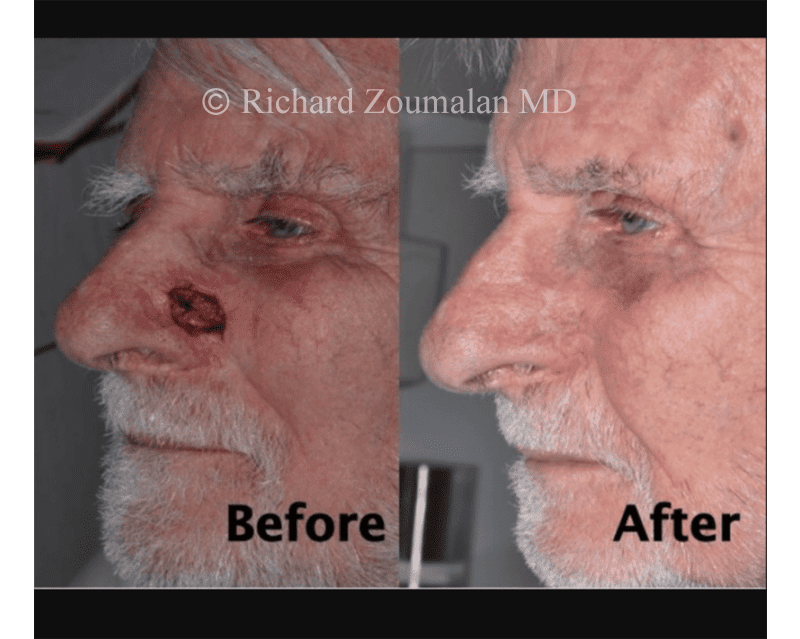 Dr. Zoumalan regularly performs reconstruction of defects of the nose after Mohs micrographic surgery, which is an advanced technique performed by specially trained dermatologists who remove skin cancer. 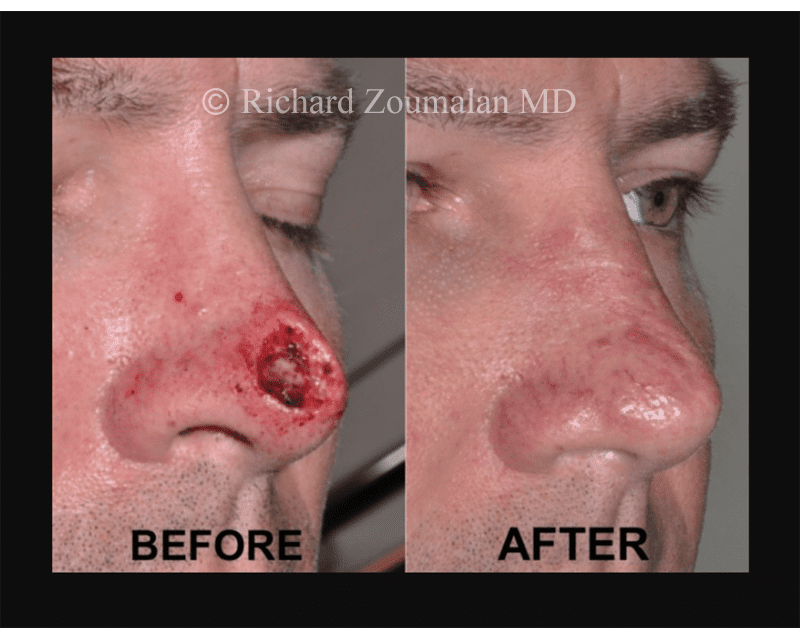 Although Dr. Zoumalan has a large aesthetic practice, he feels that reconstruction of nasal and facial defects after cancer or trauma helps him in his aesthetic nasal surgeries as well. 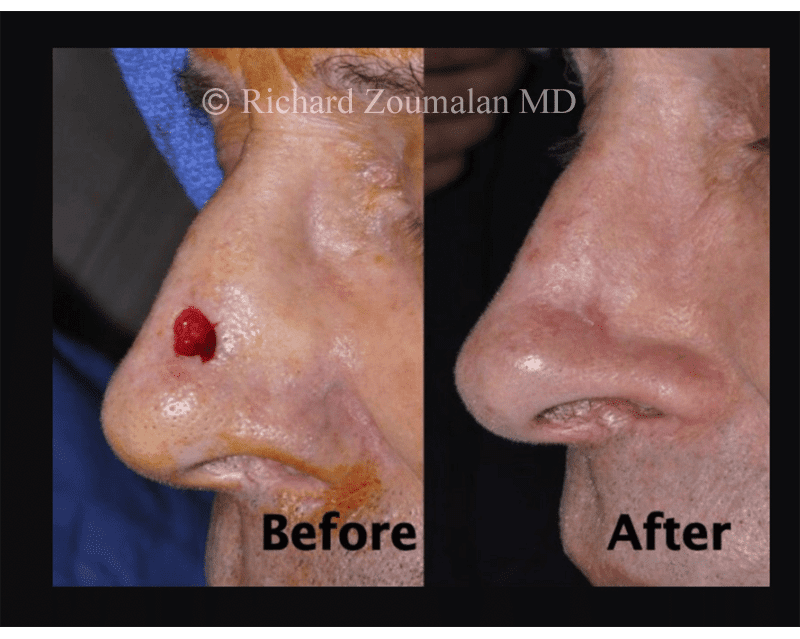 Conversely, his knowledge of anatomy and nasal physiology from his aesthetic background help him when he recreates nasal anatomy that has been changed due to cancer. 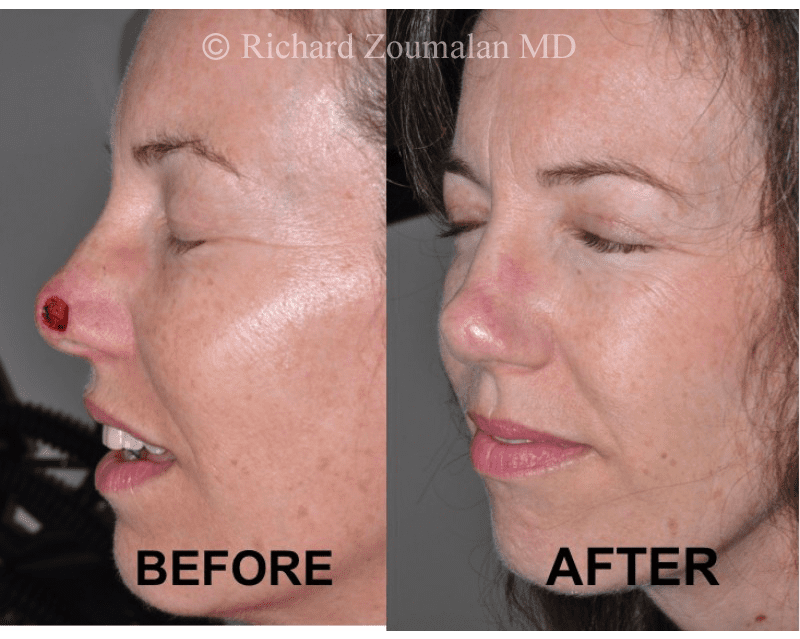 Creating a new nose is very different than cosmetically shaping a pre-existing nose. It also requires a high level of artistry and is a challenge. 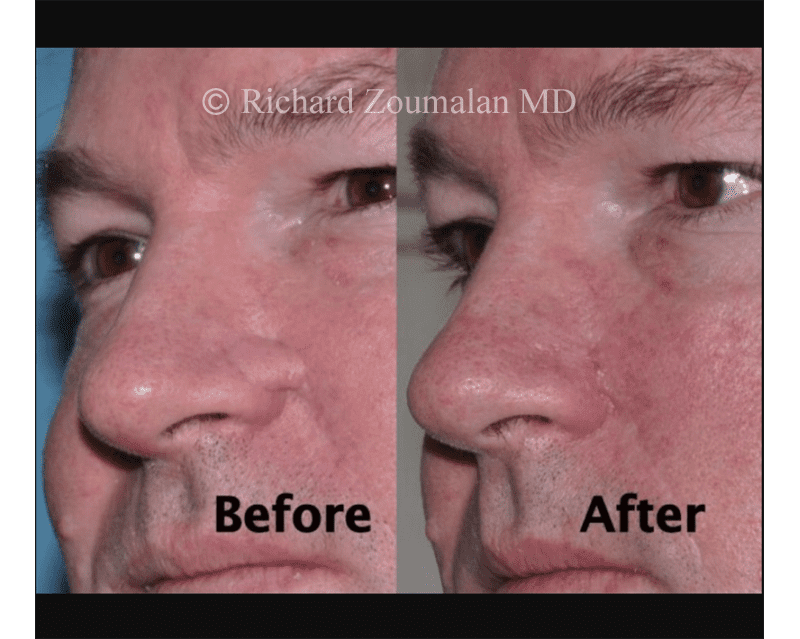 Dr. Zoumalan performs reconstruction of the nose in a way which recreates the nose in a natural way. He also ensures that patients breathe well after surgery. As with all incisions, keep ointment on the incision at all times. Often Dr. Zoumalan will have a small dressing on the wound which you should keep on the incision for 48 hours. You can then take it off and let water run over it. Keep your head elevated. Use at least two pillows. If your eye is swollen, you can keep it cool with frozen peas, but please do not put anything cold on the actual reconstructed area, as we want blood to really flow to it. Above all, take it easy. No heavy exercise, swimming, or strenuous activity. 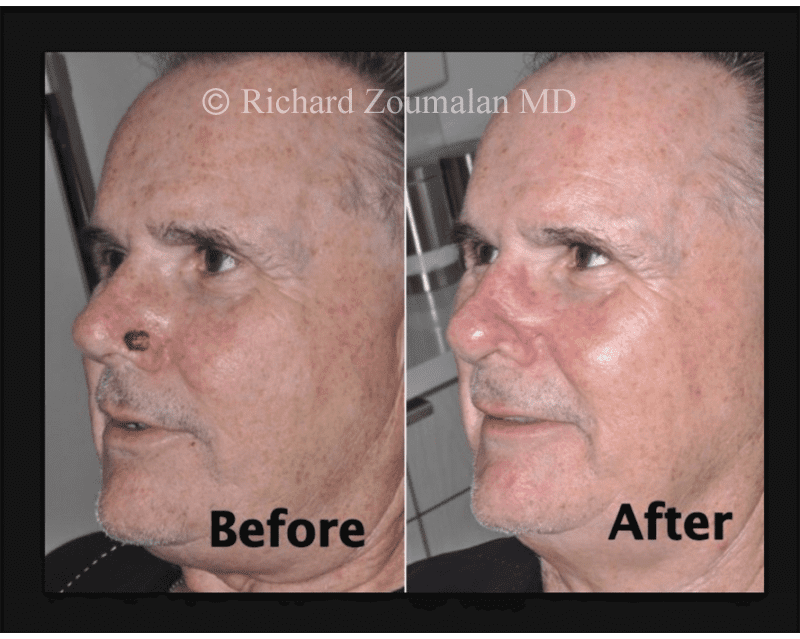 Dr. Zoumalan and his staff will guide you through the entire process. They will make it easy for you. 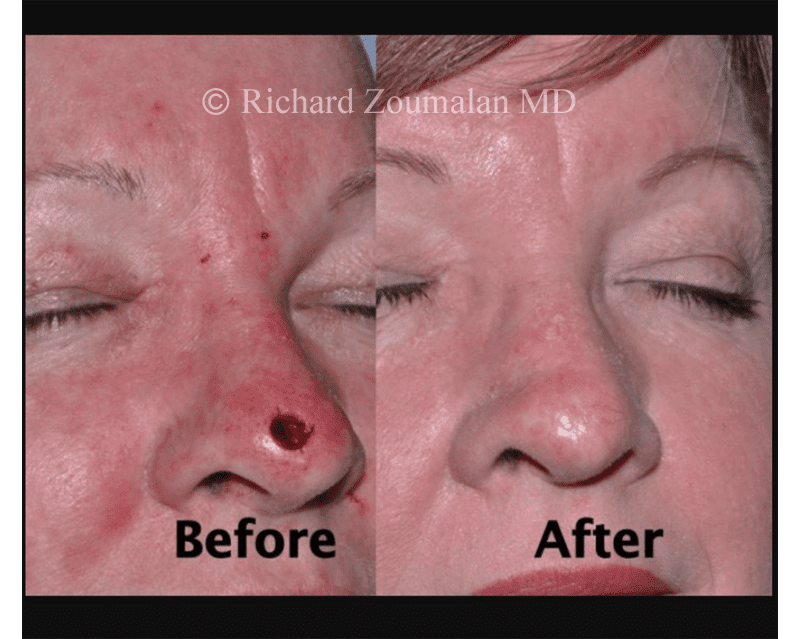 Most patients undergo the procedure in Dr. Zoumalan’s office under local anesthesia. There is rarely need for a higher level of anesthesia. It is a comfortable experience throughout, and Dr. Zoumalan makes sure of this. 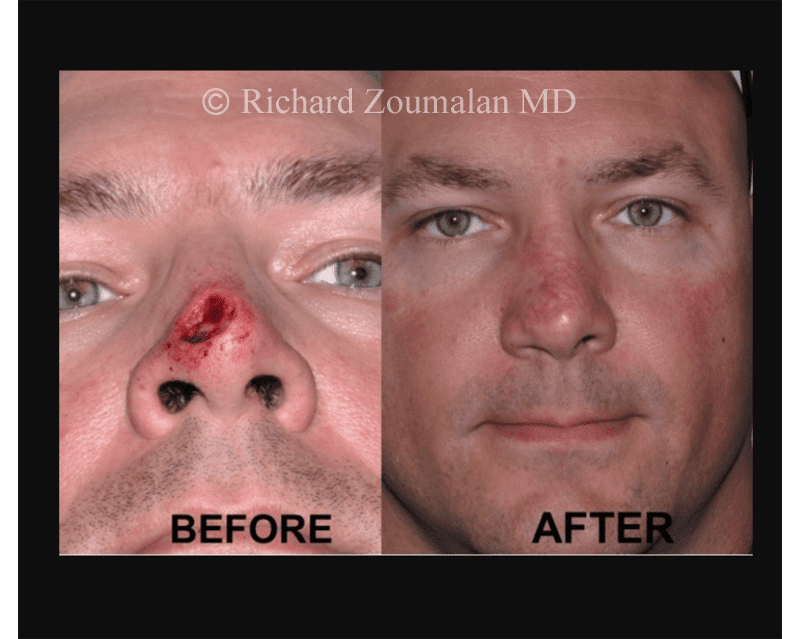 Contact Dr. Zoumalan with any questions or concerns about Nasal Reconstruction Surgery.